The crowd roared and confetti cannons boomed on Saturday, July 28, as the Overwatch League, the world’s first global professional city-based esports league, completed its inaugural season with the Grand Finals at Barclays Center in Brooklyn, New York. In front of a sold-out live audience, the London Spitfire captured history - and the first Overwatch League championship - in a 2-0 victory over the Philadelphia Fusion. The Overwatch League Grand Finals on July 27–28 were streamed worldwide via the primary digital viewing experience on Twitch, as well as on MLG; in China on ZhanQi TV, NetEase CC, and Panda TV; and broadcast to domestic audiences on ESPN, ESPN2, ESPN3, and Disney XD, along with a highlights show on Sunday, July 29, on ABC. 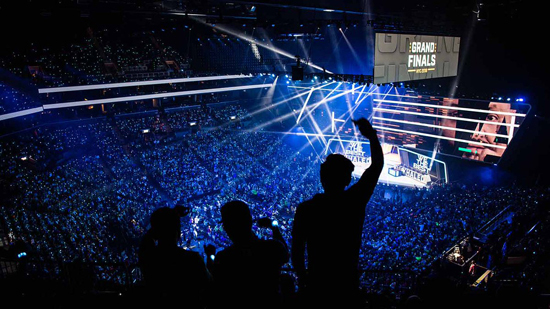 The ESPN broadcast was the first time live competitive gaming had aired on ESPN’s flagship network in primetime, while the ABC program was the first esports championship ever shown on that network. Inclusive of these TV networks and streaming platforms, the estimated global average minute audience across both days of the Grand Finals was 861,205. The U.S. average minute audience was 289,175, with an estimated 45% of that total, or 129,792, falling into the 18–34 demographic. Worldwide, the 18–34 average minute audience was 605,013. The regular season may have ended, but the fun isn’t over yet: the Overwatch League returns to Blizzard Arena Los Angeles Aug. 25–26 for the action-packed All-Star Weekend. Saturday will feature a series of custom skill matches, while Sunday will see the Atlantic and Pacific All-Stars go head-to-head in the official All-Star Game Powered by Intel®. The 2019 Overwatch League schedule will be announced at a later date. The Overwatch League is the first major global professional esports league with city-based teams across Asia, Europe, and North America. Overwatch® was created by globally acclaimed publisher Blizzard Entertainment (a division of Activision Blizzard—Nasdaq: ATVI), whose iconic franchises have helped lay the foundations and push the boundaries of professional esports over the last 15 years. The latest addition to Blizzard’s stable of twenty-one No1 games, Overwatch was built from the ground up for online competition, with memorable characters and fast-paced action designed for the most engaging gameplay and spectator experiences.